Get ready! 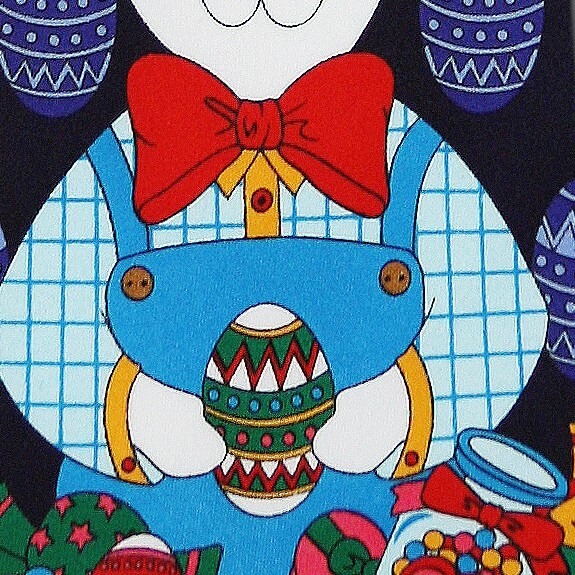 The Easter bunny is coming! This Easter celebrate with this Big Bunny Extra Long mens necktie. 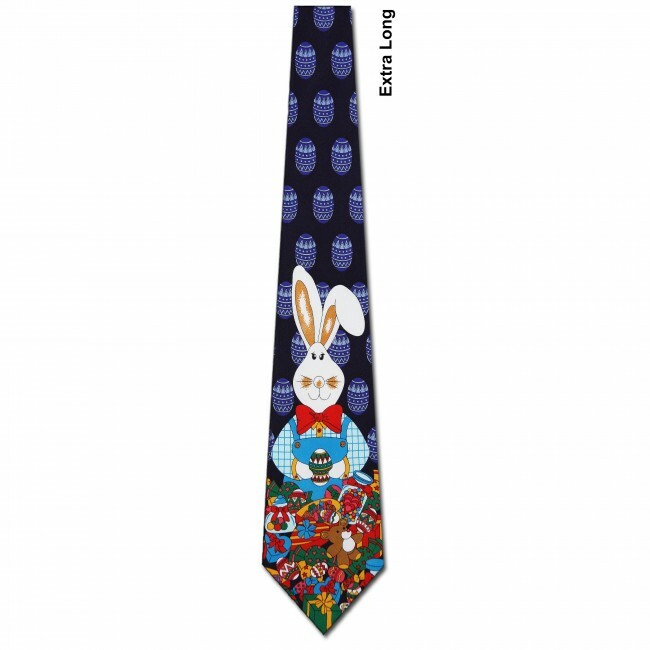 This Easter tie features a large white bunny in the center of the tie surrounded by multiple colorful toys. 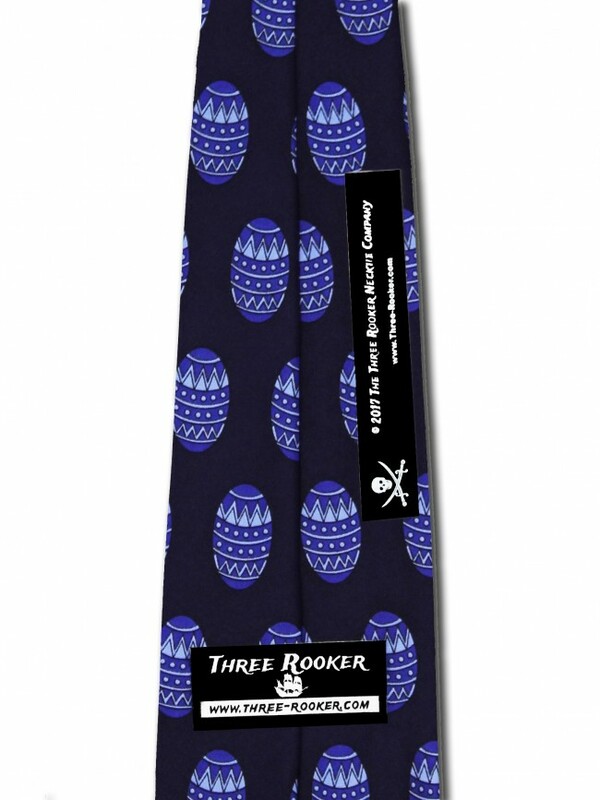 All of this is contrasted against a simple navy background that depicts an allover repeat design of patterned navy eggs. 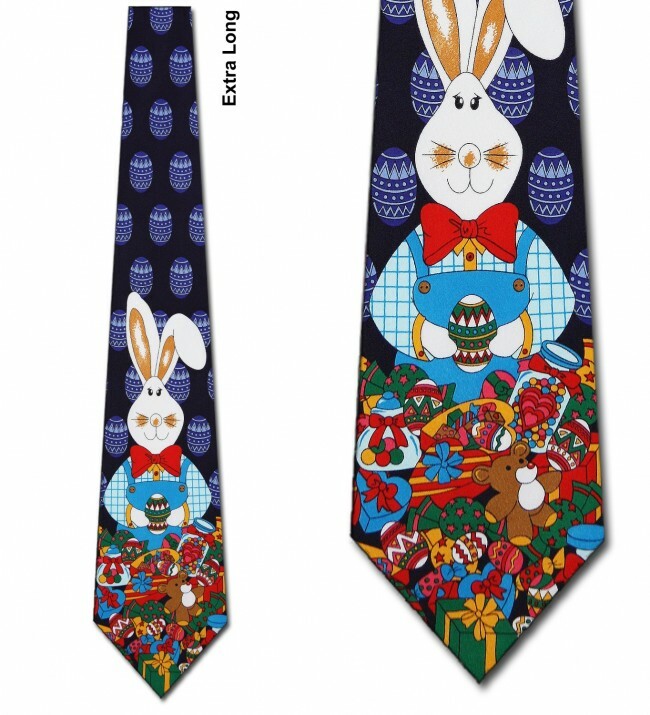 This festive necktie is a perfect addition to your Easter wardrobe and a great gift for friends and family.